Although we immediately think of electronics when printed circuit board assemblies (PCBAs) are mentioned, good PCBA design is in fact a multidisciplinary endeavor spanning electrical, mechanical, and even chemical engineering. 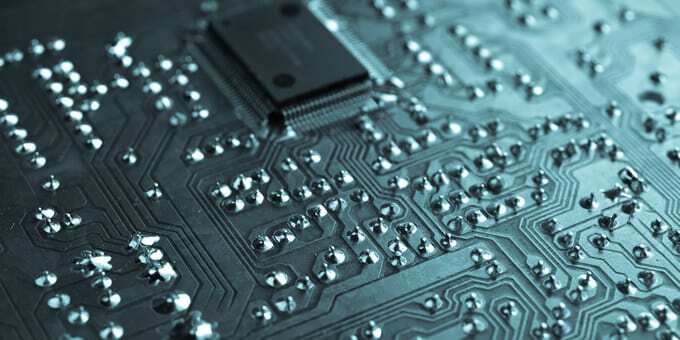 However, one area where technology companies can run into trouble with PCBA designs, is the impact of elevated temperatures and heat flow through their boards during production, use and rework. There are a lot of thermal problems that a PCBA can run into. One of the more obvious issues is inadequate heat sinking of active components which produces considerable waste heat, like FETs operating in their linear region (i.e. not being used as solid state on/off switch). For example, if a MOSFET is being used to limit current in a control system, its heat sink must be able to disperse enough heat to keep it under the maximum operating temperature specified in its data sheet. This includes the worst-case scenario: when the gate voltage is halfway between VGS(OFF) and fully on. By extension, this applies to linear voltage regulators as well. If your design forces you away from switching regulators due to electrical noise requirements (like in the high-sensitivity analog chains found in scientific measuring instruments), additional heat sinking and airflow beyond passive cooling in still air, will most likely be required. Keeping temperature sensitive components cool is only one facet of good thermal design in a PCBA. Another necessary aspect is ensuring that the heat you are removing from those components, doesn’t find its way to another part of the assembly where it can cause problems. This is harder than it sounds because electronic components cool via convection, by the transfer of heat into the surrounding air, and also through conduction by dispersing the heat into the PCB. If a warm part is cooling itself passively by conducting heat into the copper pours of your PCBA, then that heat can travel throughout the entire board and trickle into a temperature sensitive component. If you have a temperature sensor on the board, then that heat can conduct into it and artificially raise its temperature through the sensor’s leads. As a result, that sensor will erroneously read higher than the actual air temperature as the board warms up from a cold start. On the other hand, if that same sensor is downline from a warm component, then that sensor will also read higher than the ambient air temperature due to the additional heat in the air which then blows across the sensor. If you don’t pay close attention to the layers and traces of copper in your PCBA, you could end up designing a board that can be very hard to repair or rework. Thick copper layers are great for carrying large amounts of current and lowering IR drop, but they can make rework much harder due to that copper wicking away heat from a soldering iron tip or the heated air from a hot air rework station. Although you could compensate for this by throwing more heat at the part, the risk of lifting a pad, melting a header connector, or damaging other parts on the board increases. For expensive PCBAs, the inability to quickly and easily replace soldered parts could mean large costs due to scrapping the entire board when only one component fails. Use thermal relief on your pads. This applies to both through hole and surface mount parts whose performance won’t be adversely affected by the increase in resistance (which will still be low in absolute terms). Air Temperature sensors should never be directly attached to any PCBA. Use long, small diameter wires to put some distance between the sensor and the board to decrease measurement error from heat trickling up the board. Most high-accuracy air temp sensors now are current source sensors that are meant to be used remotely for this very reason. Split your PCBA into separate boards for high power & I/O, and control. Restrict heavy copper pours to the high-current board. You will have to spend time and money reworking layouts and adding connectors (and maybe cables), but in practice, this tends to work a lot better than splitting planes in a monolithic PCBA. Be smart about air flow in the box. Design the enclosure so that air moves from the coolest part of the PCBA to the warmest. Direct the air flow so that it moves faster across the parts that generate the most heat, because the more heat the air can remove, the less will conduct into the board. Providence’s extensive PCBA testing capabilities and board assembly experience can help you identify and remedy these and many other thermal issues in your PCBA design. Contact us today to learn how we can help keep your boards cool!